Turn household wastepaper into stationery, cards, bookmarks and more in just minutes! Easy to use, quick set up and clean up. 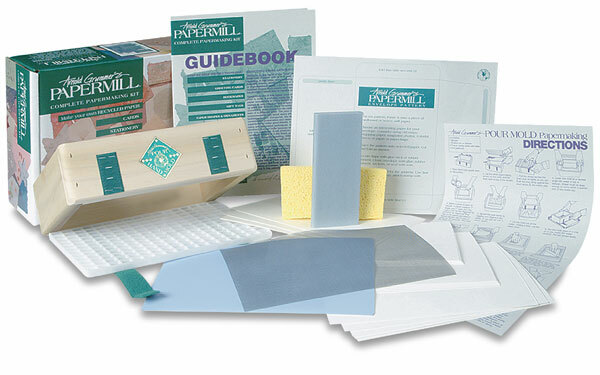 This kit makes 5½" × 8½" paper and comes complete with everything needed to form, press and dry paper. The press bar in the set is made from two recycled milk cartons. All supplies are professional quality and reusable for endless paper making activity. ® Arnold Grummer's is a registered trademark.™ Arnold Grummer is a trademark.